Welcome to another edition of Beyond Co-Op, the weekly news round-up where we look at the gaming news around the industry that may or may not necessarily relate to cooperative gaming. It was a fairly quiet week as many gear up for the next Xbox announcement this coming week and E3 a few weeks away - still there's a few tidbits worth mentioning. Sony made a surprise announcement this week as they unveiled Gran Turismo 6 for the PlayStation 3. Why Sony wouldn't have their flagship racing title, one that traditionally has been about bleeding edge graphics, on the PS4 which releases this Fall is quite odd. That said with the lengthy development of GT5 they may be trying to recoup some of their costs with a quick cash in. EA recently acquired exclusive rights to make Star Wars video games from Disney and it looks like they are tapping Battlefield developer DICE to helm the ship for creating said titles. The new studio is already open and staffed with folks from Danger Close (Medal of Honor) forming the core. DICE GM Karl-Magnus Troedsson noted that the new studio would be drawing talent from some of their biggest competitors: Call of Duty developers Infinity Ward and Treyarch. Come to the dark side? 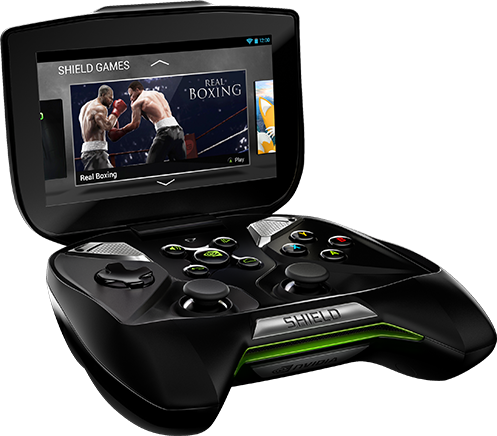 NVidia's Shield, a 5" TEGRA powered Android controller and tablet hybrid is up for pre-order. The price? $350. While some may balk, this puts it in a pretty competitive market as it becomes the first TEGRA 4 powered Android device this June. Perhaps the most compelling feature? The ability to stream games from PCs equipped with NVidia graphics cards so you can play from the comfort of your couch. The XCOM 3rd person shooter has had a long and storied past, but it seems to have finally found it's calling with a rebranding and some tweaks. Now called The Bureau: XCOM Declassified it plays a bit play an Xbox game called Full Spectrum Warrior which blended 3rd person shooting with tactical strategy. It features class based gameplay, weapon research, and plenty of familiar XCOM elements why leaning more on the action and less on the strategy. Still, the Polygon preview is pretty positive so we might have a solid game on our hands that won't upset XCOM fans. Page created in 0.7602 seconds.